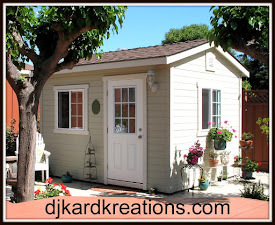 djkardkreations: Ruby's Bridal Shower Hop! I'm heading home from Minnesota today where I've had a lovely time with family and friends. 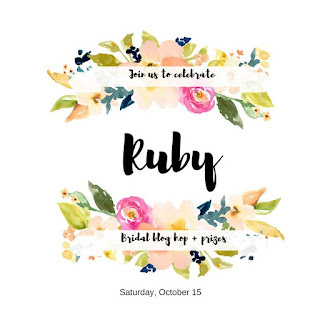 I've scheduled this post because I was asked by Amy Tsuruta to be a part of a celebration blog hop in celebration of the wedding of our friend Ruby of A Rare Ruby. Ruby, it's a pleasure to be part of this hop and I wish you and Steve many blessings of good health and happiness! "Steve and I are very excited about starting a new life together. We look forward to beautiful memories in a new home and lots of adventures overall. We are grateful for the support and love from our family and friends. My heart is full, and I truly feel so blessed and loved. :)"
I used appropriate SU Blushing Bride card for the base, stitched with a My Favorite Things die. The cake (which I made a little whimsically askew because that's the way I bake) is made of glitter paper and cream paper. The cream paper is embossed with a Cuttlebug branches e/f to mimic the frosting in the photo. I cut the layers by hand and ate three practice layers. The celebrate sediment is from Winnie & Walter. The roses were a challenge prize I received about four years ago. 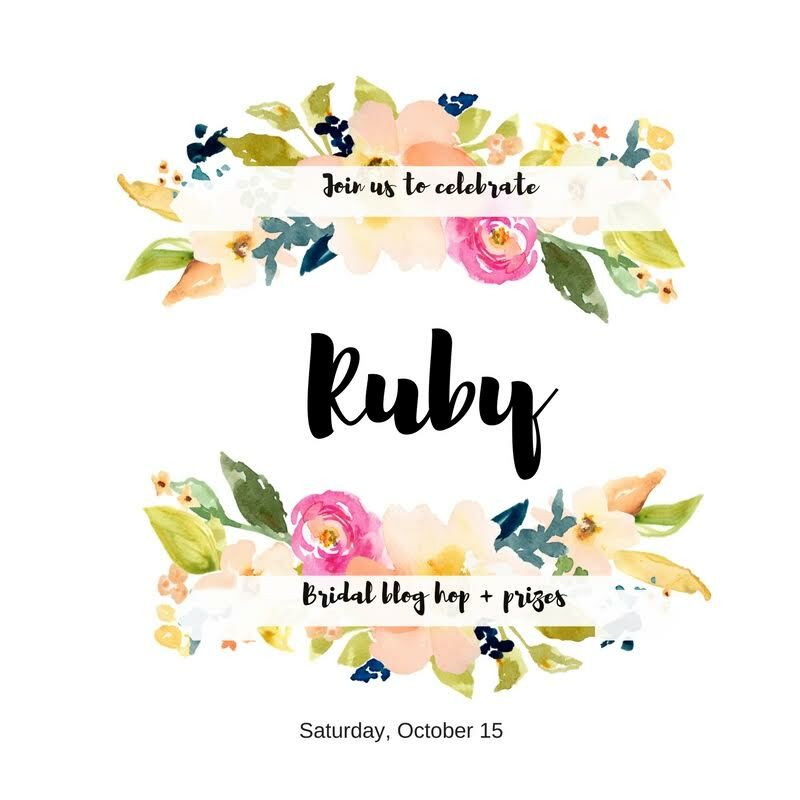 I love that they have been patiently waiting for Ruby's special day! The leaves are cut from Poppystamps, "Lorelai Outline Leaf." The winners will be selected from the comments across all of the blogs in the hop! Commenting will close on Saturday, October 22nd, 11:59 p.m. and winners will be posted on my blog on Sunday, October 23rd. Thank you for hopping and good luck! Enjoy your day! No, seriously, enjoy! LITS! * I'll be back soon with regular programming! Your cake is a wonderful take on the inspiration. It looks good enough to eat! The roses are awesome! Wonderful! Just like the inspiration photo! What a beautiful card. 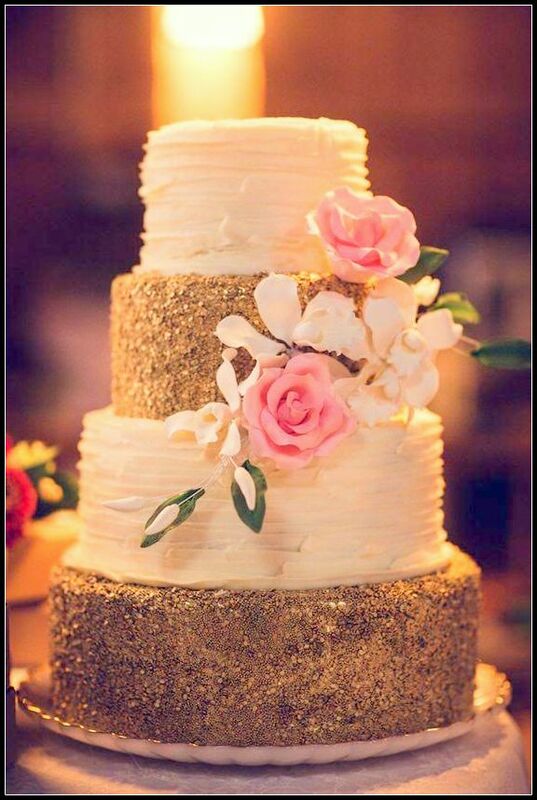 The cake looks Glamorous with all the glitter ! The cake on your card is a lovely representation of the inspiration photo. I love the glitter and the roses! Wishing Ruby a happy bridal shower! Great job replicating the cake! I love those roses! This is fabulous!! LOVING the sparkle. Darnell, your cake is GORGEOUS. Who can resist gold glitter ---> not me! LOVE it! Gorgeous. I love the literal take on the card! What a stunning cake this is. 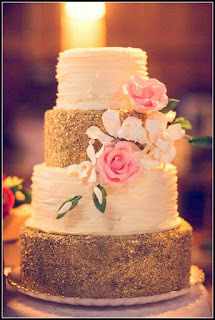 Your design of the cake is great especially the beautiful rose. Glad you had a good time on your trip and can't wait to see pictures. Hope you have a safe trip home. Your glittery cake is super gorgeous Darnell!! Absolutely love this elegant beauty. Gorgeous card. Hi Darnell, What a lovely card. You know, I wondered why I hadn't visited your splendid blog recently and headed over here to apologise for my absence and I see you've been away pretty much the whole time I have!!! SPOOKY! Fab make today Darnell, hope you've had a lovely time catching up with family and friends. Good to have you back. Congrats to Ruby & Steve! What a whimsically fun Wedding Cake - love the wonkiness! Your 'homemade' cake card is just lovely. Super cute card and a beautiful cake!! What a sweet thing to do for Ruby! Your card is absolutely gorgeous! Love your "askew" cake. Beautiful take on the inspiration. So breathtaking beautiful! you captured the photo of the cake perfectly. Hi Darnell. Beautiful CASE cake card. So excited to see you on this hop. This is a great supportive crafting community. flowers and cake from the wedding. Oh my gosh, the card looks like the photo. How cool. Perfect! Love your cake :) and the real one looks fab too! Perfection, Darnell!!! Love how you were inspired by the real wedding cake. Ruby is so lucky to have wonderful and caring friends/bloggers like you and others in this hop! Beautiful CASE of this gorgeous cake! What a fabulous card! Gorgeous take on the photo - it's spot on! Pretty, sparkly and yummy-looking! What a wonderful card to celebrate love and the union of two happy souls. I LOVE the pretty roses on your card! They look like frosting! Your card is beautiful!!! love the glitter!!! Love your glittery cake! So pretty! Oh Darnell only our could make a cake like that - all skewed - and make it a work of art - this is gorgeous!! So glad those flowers stayed hidden until now, as they are the perfect embellishment. 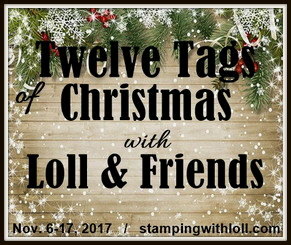 A fun and great non-traditional card! Hope you have a good trip back and a dun and good weekend! Your cake looks good enough to eat Darnell and the roses are beautiful. Congratulation to the happy couple. Glad you've been having a nice time away. Absolutely beautiful!! Love the sparkle! A wonderful take on the photo inspiration. 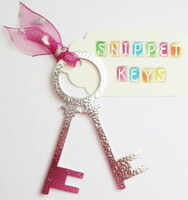 And, a wonderful way to show love to a special friend at this happiest of times in her life. Love your wit, as always, Darnell. I hope you are safely home as I'm typing this. This is an awesome wedding cake and a wonderful "shower gift" for Ruby & Steve! These layers do look good enough to eat! I think I'd stay away from the glitter layers though. They might be a bit crunchy and I hate glitter sticking to my teeth. Beautiful card and a beautiful cake! Perfectly beautiful!! Thanks for sharing! Oh my!! 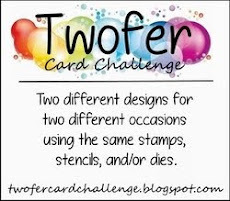 Your cake card is AMAZING!! I love the combination of the embossed paper and the sparkle of the gold. Your addition of this 3D roses is BRILLIANT!! Stunning card!! 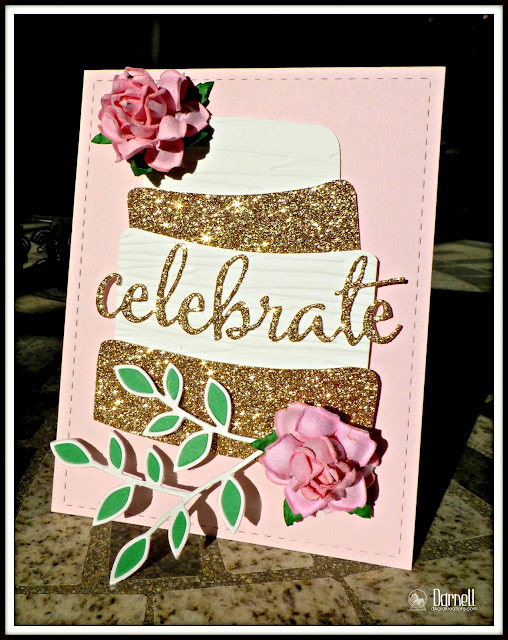 Such a great cake on your pretty card! Love the glitter and those roses are the perfect final touch! I like your fancy sparkly cake Darnell, this is wonderful!! Great cake. Love the colors too. Gorgeous card perfect representation of the inspiration photo. Can I say your cake to be stylish and stunning!! LOVE this card!! What a sweet idea!!! Congrats Ruby and Steve! Gorgeous cake! I mean the one you made, Darnell! I love that it is a bit tipsy and whimsical, it takes some of the seriousness off the day and reminds everyone to just have fun. Have a safe trip home, Darnell--bet you've had fun! Gorgeous wedding card--perfectly used the inspiration! Ooh, I love your glittery wonky wedding cake, Darnell! Safe trip home, and I'm looking forward to reading about your adventures. Gorgeous Darnell! What an awesome case, you nailed it! Thanks for sharing and inspiring. Congrats Ruby & Steve. Isn't it fun to finally find the perfect use for something you have had for a long time, in your case the pretty roses? Hope you returned safely at home! Gorgeous, love the gold sparklie layers. Hi Darnell!! This is absolutely gorgeous!! I love the layered look!! And the glitter paper gives it an elegant touch, as do the roses. Very nicely done!! Looks yummy!!! I love your kind of baking too!!! I love that you made the cake the way you would bake it! LOL! Great job! Wow! What a beauty! You must have been a cake decorator in a previous life! Scrumptious looking cake Darnell for the lovely Ruby! Such a lovely cake!! Love the golden glitter! Beautiful card!! Oh Darnell, this is so beautiful! Love those flowers on the cake! This is so pretty with the sparkly layers and the great dimension with the flowers. Perfect take on the inspiration photo! Awesome! So so pretty! Love the glitter on here! Very cool! Love the glittery layers! Beautiful! Such an elegant and beautiful card! Wowzers - the bling totally creates a 'celebratory' mood! Beautiful roses, love the pop of green leaves! Awesome!!! I liked the traditional roses. Recently I have gifted one of my friends a beautiful diamond necklace on her bridal shower. The beauty about this place is that it's not just a unique space in itself, but it's a full-service catering space as well, and the food is incredible. We worked / developed a relationship with the San Francisco wedding venues over the course, and nothing is out of reach.